Meadow Lane runs past the old parts of the Brush Factory in Loughborough on route to Stanford upon Soar. 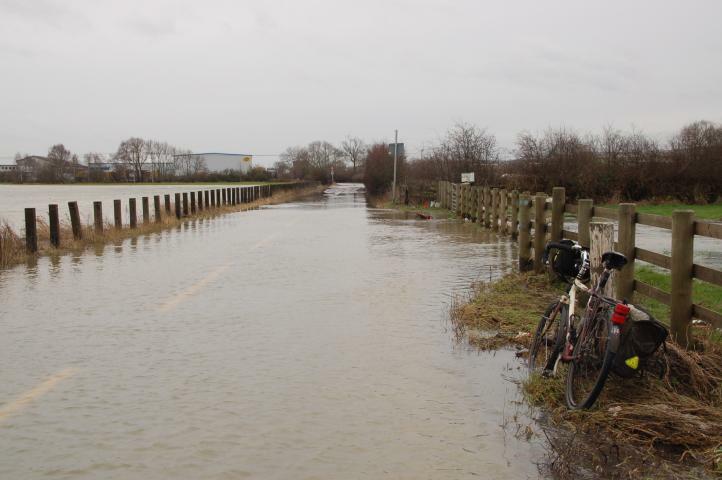 Whilst I have lived in the area for nearly 15 years, I had heard of the road being closed due to flooding but have never experienced it, other then a few large puddles. 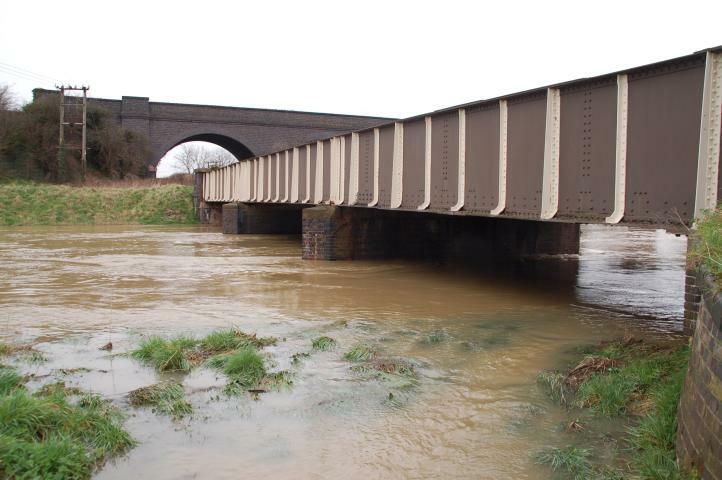 With 3/8 of an inch (10mm) of rain falling on saturated ground on the Sunday, Monday although dry, the roads were still closed due to flooding. In all over an inch of rain had fallen in the area for March and 6.5 inches for the year to date. I decided to make use of core timing finishing at 3pm for DeeTour home via the floods. 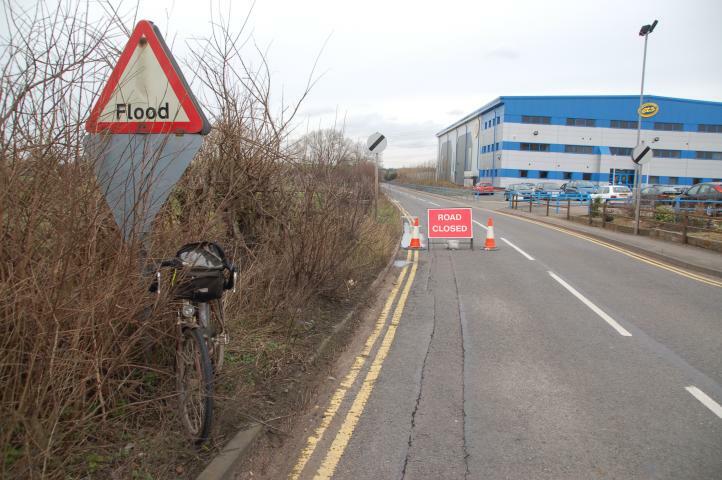 Just over from the railway bridge on Meadow Lane - a flood warnings sign and road closure. 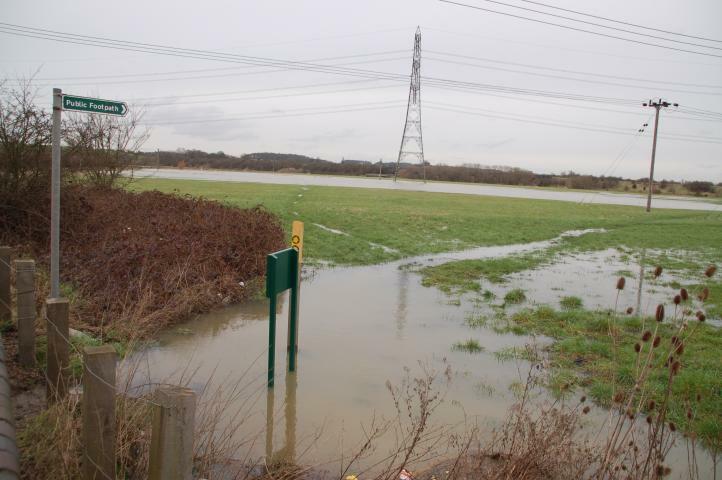 At the end of the Brush Factory site a footpath H86 heads across the meadows towards the R Soar. Waders rather boots are required. 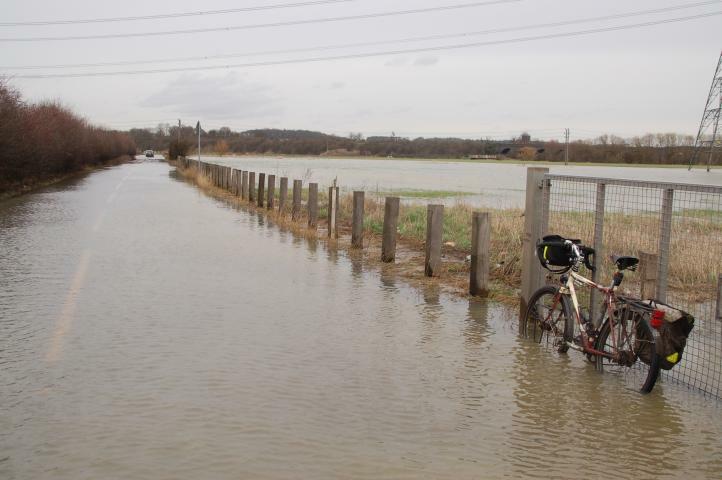 A bit further on the road is flooded as well as the fields. Looking towards Stanford upon Soar. 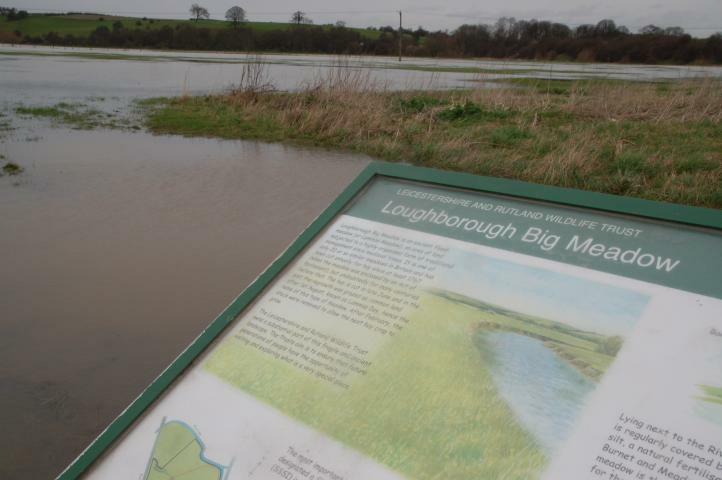 On the north side of the road is an information board provided by the Leicestershire and Rutland Wildlife Trust explaining the role of the Meadows as flood plain. 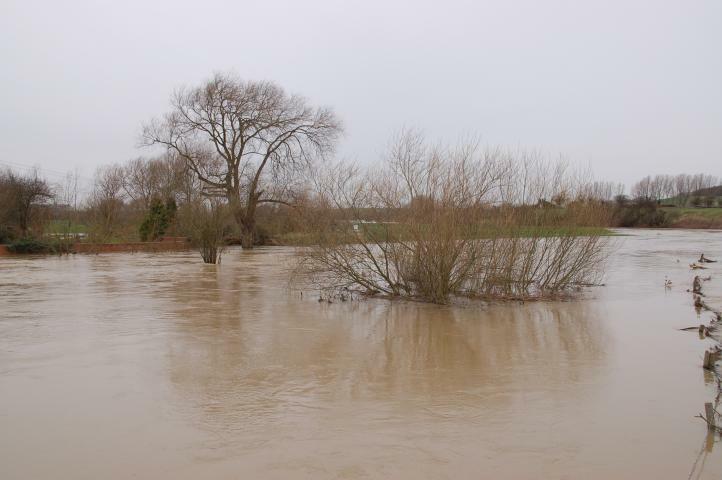 However in the picture on the board the river is shown within the normal confines of the river bank, not in the flooded state above. 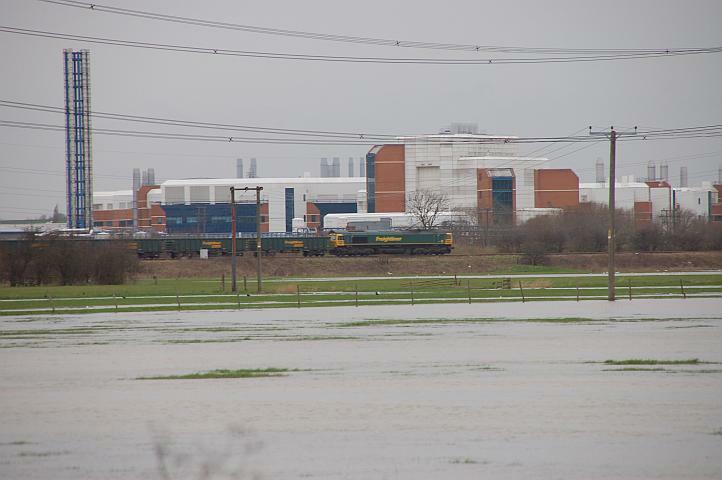 Looking back across the north side of Meadow lane towards the Midland mainline and the Astra Charnwood site. A class 66 passes by on a northbound Freightliner service. The R Soar as it passes under the old Great Central Railway viaduct. View of the north side of the Meadow Lane road bridge showing how the rive has flooded its banks. Having passed through Stanford upon Soar, I then headed south along the east side of the R Soar towards Cotes. This is taken from the other end of the footpath H86 shown above. The path crosses the bridge centre of picture. 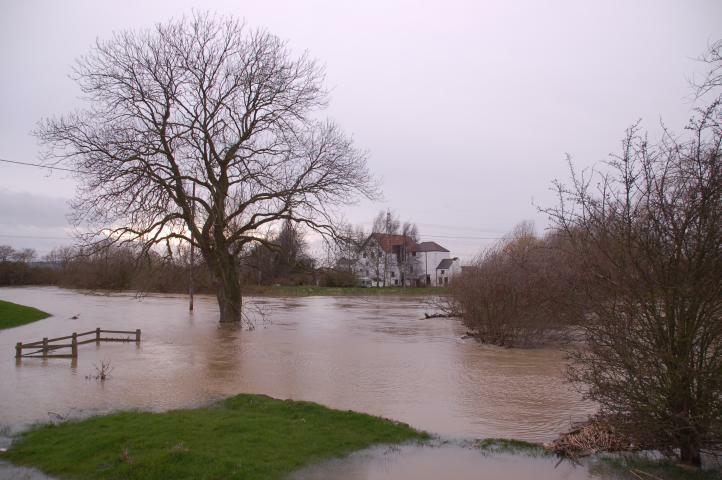 View from the A60 on the east side of the River Soar at Cotes. 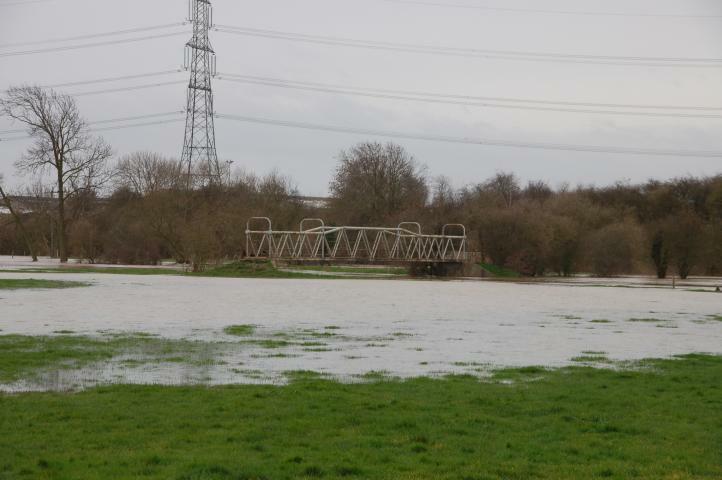 View from on the east side of the River Soar looking north to the A60 bridge at Cotes. 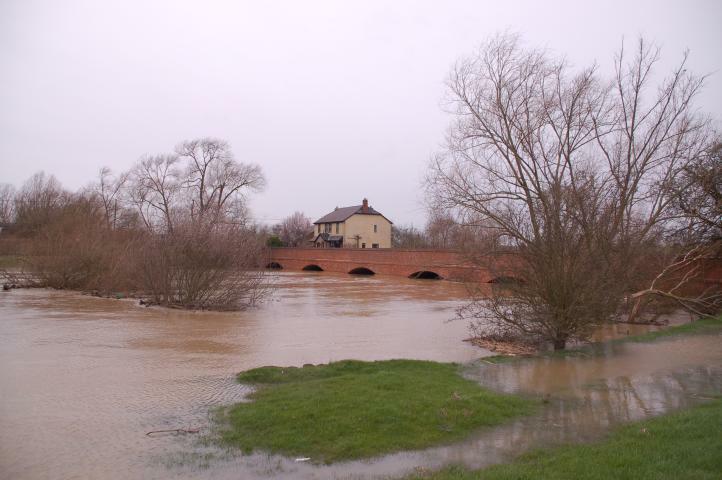 View looking north from the A60 bridge across the River Soar at Cotes. View looking west acorss the R Soar towards Cotes Mill on the south side of the A60 bridge across the river.